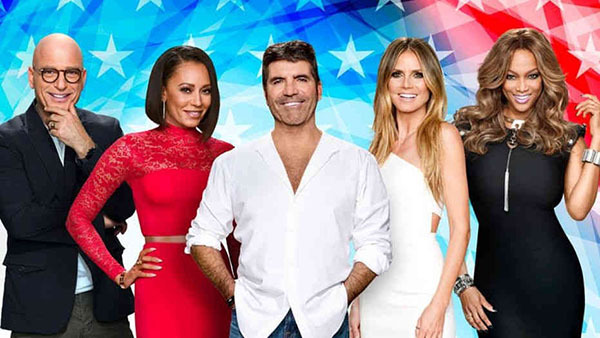 America’s Got Talent Season 13 Live Finals tonight, Tuesday, September 18, 2018 at 8/7c on NBC. The AGT Live Finals begins tonight. The remaining Top 10 finalists will preform for the last time for your votes. Only one will be named as America’s Got Talent Season 13 winner. The results will be revealed on Wednesday (September 19). Performing tonight are Brian King Joseph, Courtney Hadwin, Daniel Emmet, Duo Transcend, Glennis Grace, Michael Ketterer, Samuel J. Comroe, Shin Lim, Vicki Barbolak and Zurcaroh. Keep locked on this page, AGT 2018 Finale Live recap and performance videos will be posted below once uploaded online. Violinist Brian King Joseph bring dramatic performance on AGT Finale. Opera Daniel Emmet sings “Perfect” by Ed Sheeran. Acrobat group Zurcaroh stuns judges with a jaw-dropping performance. AGT 2018 will be broadcast live on NBC at 8/7c. The show is also available to watch online at official NBC live streaming channel.